So you might have heard that the more you progress in your career, the more “strategic” you should aim to be. WTF does that mean? “Thinking outside the box” to come up with new ideas. Working harder and motivating others to work harder. As a result, I tried to do as many of the above as I could. I brainstormed! I wrote epic, sweeping docs! I familiarized myself with the language of KPIs and measurements. *check, check, check* went the boxes. See how well I was strategizing? Unfortunately, as it turns out, I was doing the equivalent of strumming a guitar and assuming I was making music. The core problem was that I didn’t really understand what strategy was. Nobody had ever explained it to me. I figured “being strategic” was just engaging in high-level product discussions. If you find yourself in the same boat, this note is for you. 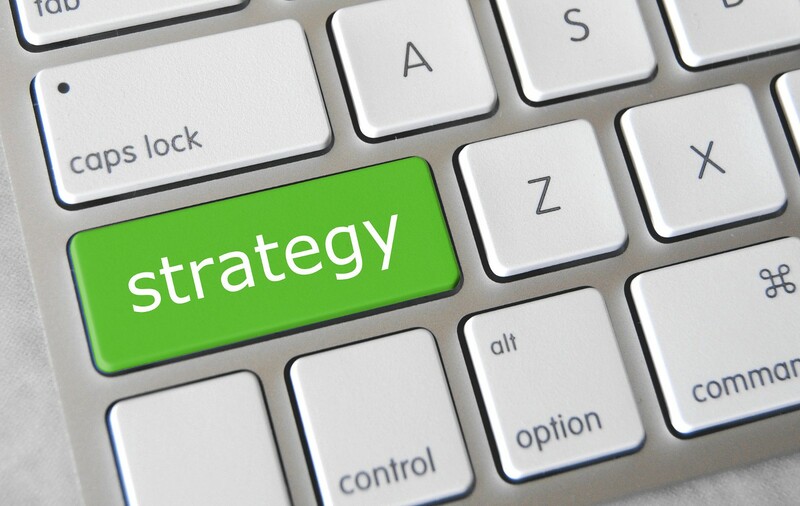 Basically, a strategy is a set of actions designed to achieve a particular objective. It’s like a route designed to get you from Point A to Point B. A more interesting question is “what makes for a good strategy?” And for that, I subscribe to Richard Rumelt’s definition: a good strategy is a set of actions that is credible, coherent and focused on overcoming the biggest hurdle(s) in achieving a particular objective. credible and coherent: the plan should make sense and believably accomplish the objective. There should not be conflicting pieces of the plan. focused on overcoming the biggest hurdle(s): there should be a clear diagnosis of the biggest problem(s) to be solved, and the plan should focus resources towards overcoming those hurdles. Quoting metrics or setting goals: this is certainly a part of strategy, but it isn’t enough. You also need a credible plan. Saying “our strategy is to set more aggressive goals” is the equivalent of writing bigger checks and not having an real bank account tied to them. Coming up with new feature ideas: if you don’t know the problem you’re trying to solve, it doesn’t help to brainstorm a bunch of solutions. This is like blurting out an answer on Jeopardy before you’ve heard the question. Working harder and motivating others to work harder. Working hard is great, but don’t confuse motion for progress. Assuming that working harder is the answer to winning is like assuming thoughts and prayers can solve climate change. Writing long docs: could be strategic, but depends on the content. Beware of long, sprawling epics. Good strategies are usually simple, because executing a highly complex plan across dozens or hundreds of people tends to not work well. Creating frameworks: frameworks can help explain concepts, but they are not a plan. Having good frameworks is like having a clear map. You still need to chart a path. Drawing graphs on the whiteboard. May look impressive but is probably classic bad strategy: a lot of jargon and fluff, a lack of real substance. Okay great, you say. Nice definitions. But the question still remains: what should I do if I want to be strategic? Here is the secret sauce: do more of the following three tasks. 1) Create alignment around what wild success looks like. This is self-explanatory, but hard to do in practice. As a litmus test, ask yourself this: Imagine your team is wildly successful in 3 years. What does that look like? Write down your answer. Now, turn to your neighbor and ask him or her the same question. When you compare your answers, how similar or different are they? They shouldn’t be different. You both work on the same team. And yet, there are plenty of reasons they might be different. You might care about multiple outcomes. You might track many goals. Which ones matter the most? What happens if they trade off against each other? And how does the success of your organization’s mission, or the success of your business factor in? If the answer isn’t clear to all the members on your team, there’s work to do. 2) Understand which problem you’re looking to solve for which group of people. Imagine, for kicks, that you’re looking to “transform the future of transportation.” What should you do? If your instinct is to start throwing out ideas — Flying cars! Ubers with Eames chairs! Hyperloop to LA in 2.2! — compose yourself. Do you know what the problems are with transportation today? Maybe you do. It isn’t hard to come up with a list, as there are a lot of problems. Traffic! Affordability! Safety! Pollution! Boredom! etc. Understanding the ecosystem around the problem. Problems don’t exist in a vacuum. There are likely many other people out there who are also obsessed with solving any given problem. How are they approaching it? What’s being done well and done poorly? Which groups of people are getting ignored? Where are the opportunities for a better approach? It’s silly to start inventing with a blank slate. Understanding a problem well means also understanding your competition, and understanding the systems around which this problem exists. Do your research — competitive analyses, jobs-to-be-done, audience segmentation, marketing sizing, etc. This work is what creates confidence in future ideas, and what gives us a framework to evaluate them. Understanding which problems suit your unique strengths and weaknesses. You can’t solve every problem equally well, so what problems can you solve better than anyone else? What are you or your team really good at, and what are your weaknesses? Imagine this scenario: A and B are debating which features to include in the next product launch. A thinks doing X is the most important while B disagrees and wants to do Y. What’s the easy out? Doing both X and Y, of course. No one’s feelings get hurt. We get our cake and eat it too! Except no. Time, energy, and attention are not free. Remember how a good strategy is focused? Focus is a strategic advantage that lets you move faster on what matters most. That’s why a tiny start-up with dozens of employees can win against a company of hundreds or thousands. The more your plans get watered down trying to do lots of things, the less likely you are to have a competitive advantage. Either X is more important, or Y is. I tell my team that when the discussion becomes “should we ship this mediocre thing, or should we spend additional time that we don’t have to make it better?” the battle has already been lost. The thing we failed to do weeks or months ago was cutting aggressively enough. Either this thing matters, in which case make it great — don’t make it mediocre. Or it doesn’t, in which case, don’t work on it in the first place. If you’re interested in reading more about the topic, I highly recommend Richard Rumelt’s book Good Strategy, Bad Strategy. Tons of great examples from the military and corporate world.